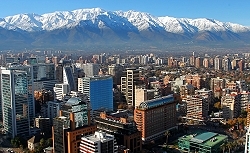 AVIWEST opens office in Santiago Chile to support sale of video transmission solutions. Saint-Grégoire, France, September 2016: AVIWEST, a global provider of video contribution systems, has announced that it has opened a new sales and support office in Santiago, Chile, expanding the company’s presence in Latin America. To ensure that the needs of customers in the region are met thoroughly, AVIWEST has appointed Francisco Aguayo as LATAM sales director and Italo Marinello as support/pre-sales manager. AVIWEST’s new office will be located at Marchant Pereira 201, Oficina 701, Providencia in Santiago, Chile. Product brochures and support is available in Spanish at www.aviwest.com/es.